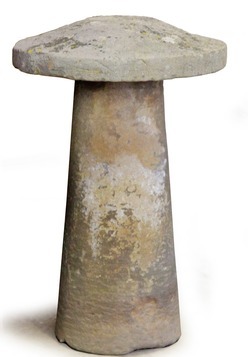 Staddle Stone; Mushroom, Sandstone, 28 inch. 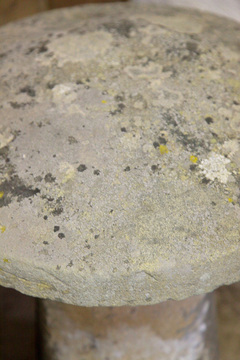 A sandstone mushroom staddle stone; image credit on full record. 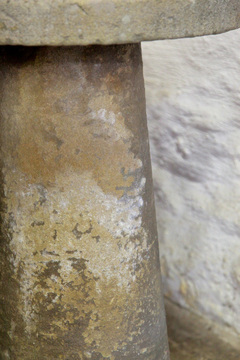 An American staddle stone, 19th century, sandstone. Two piece mushroom shaped stone with weathered surface.